Father Son Matching Outfits. Might sound peculiar but it is as true as it gets that twinning with our loved ones is one way we express love for each other. Wearing the same outfit as your brother, mother, father or sister looks cute and is fun as well. The practice is popular so no wonder that many dads and sons also wear the same outfits once in a while. If you aren’t sure about how you and your father or son can wear matching clothes then your internet search has led you to the right place. 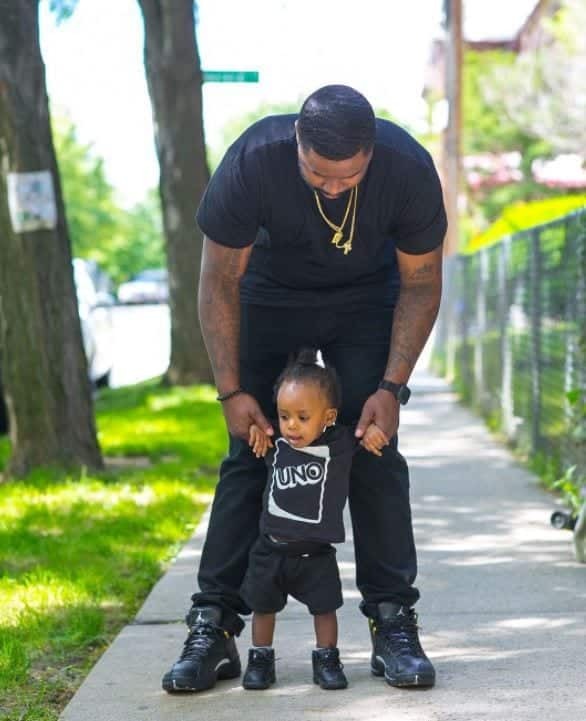 Here we have compiled 30 ways fathers and sons can wear matching outfits and look dope. Read on for more on this. 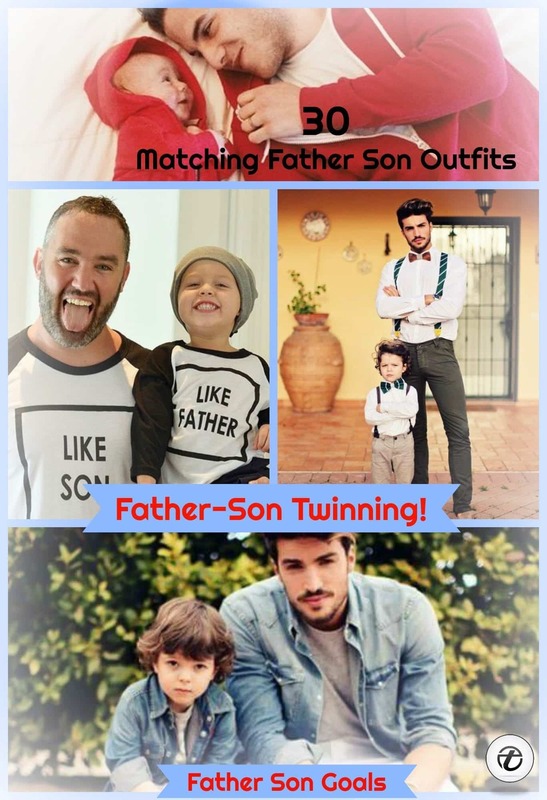 How to Wear Matching Outfits for Father and Sons? They say sons are usually more emotionally attached to their mums than dads, but there is no denying that mostly sons grow up to be very much like their dads. One way to be a good example to your little guy is by showering him with a lot of love and as silly as it sounds, wearing matching clothes with him. Children love the idea of looking like their parents do. Recently, Iqrar ul-hassan celebrated his boy’s birthday and we got to see the father and son duo wearing similar polo shirts! Making your little guy wear the same printed button down shirt as yours wouldn’t just win his heart and help you bond with him but the matching styles would also make for a style statement. Do check out these 30 Cutest Matching Outfits for Couples. Flannel is both comfy and trendy. Twin with your little one with both of you sporting checkered flannel shirts and black slim fit pants. Your 2 year old doesn’t understand much yet but you two sporting matching looks would surely make him giggle. Make your baby boy wear a suit similar to yours at the next wedding. Your both are definitely going to have the spotlight on yourselves. Here are Casual Wedding Outfits for Men. Here’s a father-son pair, wearing crisp white dress shirts with sweaters thrown on. Black pants and the same smiles stretched on their faces as the rest of their look. Not in the mood of full on twinning? No problem. You and your old man can wear similar colored blazers with the shirts of your own choices for the debonair yet adorable look. Here are 18 Latest Men Casual Outfit with Blazer. No kidding, little boys look too cute in dress shirts. Pretty sure, they themselves feel good about their look too because which child doesn’t want to look like an adult? You and your boy should also try this stellar look. Wearing the same amazing graphic tees to festivals and fairs is the new cool. For the punk looks, you and your little man can blend cuteness and sass. Wear similar clothes, thrown on your caps and add a chain to the overall appearance. Here are 23 Cool Dresses for Baby’s Casual Style. You and your son can wear the same sweater, jackets and pullovers with him looking like a tiny version of yourself. Spending time at a concert with your munchkin? Wear the same shirts with the rest of the look different. Just strolling through the market? Wear the same graphic tee, red cap and khakhi pants as your big man. Check out these 15 Ideal Ways to Style Khaki Pants for Men. Kids fashion has become increasingly popular. For the steezy look, you and your son can both go for the same hair cut, sun shades, backpacks and white tees with cargo pants. You are both surely going to look dapper. Boat ride time with family? Father and sons can wear the same yellow shorts. The matching is on-point and yellow makes for a breezy look. Have a look at these 20 Swag Outfits for Kids for a Perfect Look. Most dads spend time with their sons at baseball games. You both can wear the same shirts and cheer on your favorite team along with looking cool. For the casual twinning look, wear a white round neck tee and blue jeans, same as your kid. Don’t forget to click a pic and frame it on the wall. You can try the super adorable look this man and his son are sporting. You and your dad can make the entry at events wearing the exact same suits! Keep a little variation by wearing a white tie instead of a black one like his. Your father and you can also wear similar suits to the office if you both work at the same place. Here are the best Men’s Business Casual Outfits. For the perfect summery look, you and your son can wear similar tees and shades. Here are 18 Super Cool Fashion Ideas for kids. Father’s day or birthday dinner? Go to the restaurant, sporting the same printed shirts. For max style, wear the same polo shirts, shorts and even shoes! Spend time with your little boy teaching him how to handle things. Wear the same shirts and make him feel special. The ultimate dad-son goals? Hanging out with your old man even after you have grown up, twinning with him occasionally and making the bond stronger with each passing day.